REV Drift is an exquisite and powerful subohm tank with 2 different ejuice capacity of 2ml/4.5ml. It comes with 4 kinds of innovative cores: R1(Single Core), R2(Dual Cores), R3(Tri Cores) and R4(Quad Cores) for decent flavor and big clouds. As an exquisite and powerful subohm tank, REV Drift subohm tank matches well with some REV mods for fabulous performances. It features 4 kinds of innovative cores: R1(Single Core), R2(Dual Cores), R3(Tri Cores) and R4(Quad Cores), bringing you various powerful vaping experience with decent flavor and big clouds. The slide top filling design makes refilling very easy. Moreover, the Drift tank has 2 different ejuice capacity of 2ml/4.5ml with corresponding glass tube, which not only presents different appearances but also satisfy different vaping needs. 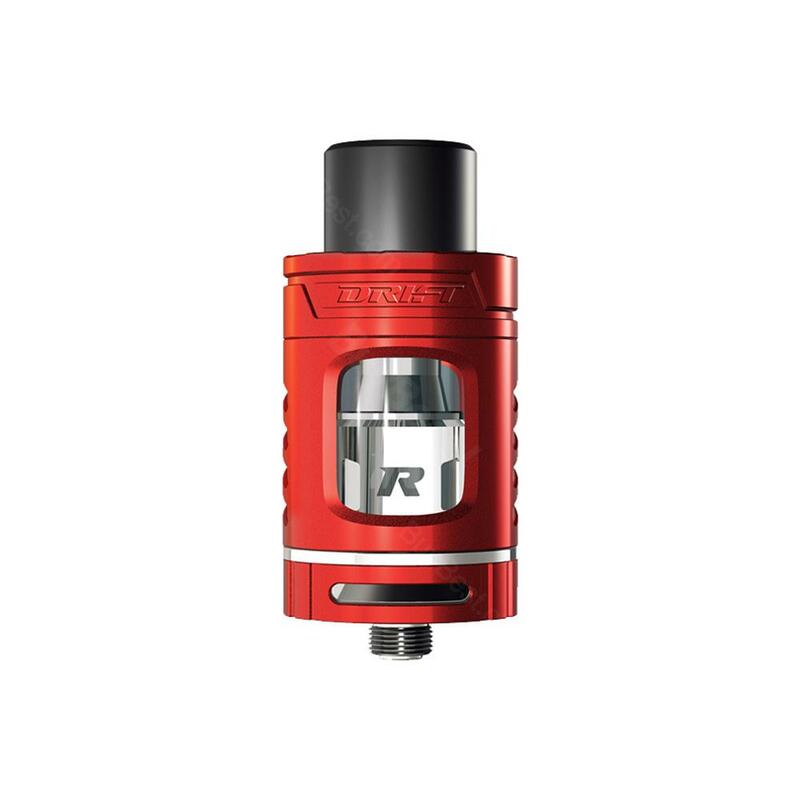 Get one REV Drift subohm tank to start your diversified vaping journey. • It doesn't comes with 18650 cells/e-Juice. REV Drift ist sehr edel liegen sehr schön in der Hand das gefällt mir sehr gut. gefällt mir sehr. Diese Produkt ist einfach klasse!